Something amazing is happening. There’s a fashion trend that is actually comfortable stomping its way down the runway and into our lives. That’s right ladies, the high fashion hiking boot is here. Although this isn’t a trend I would’ve predicted, I’m still very excited about it. 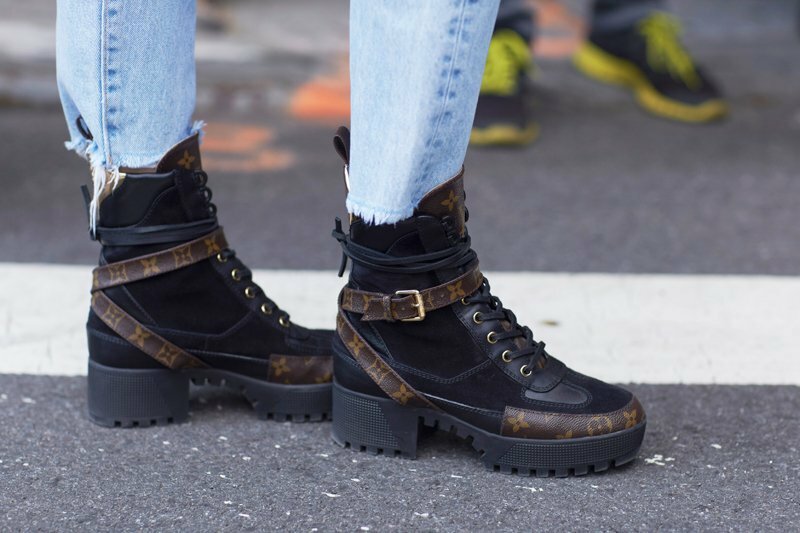 Ever since luxury houses like Louis Vuitton and Gucci debuted their versions of combat boots and hiking boots, the shoe has filtered its way from the runways and fashion week to the streets. And of course there are entire labels like (insert here) and (here) that have only ever done functional hiking boots that now found themselves unexpectedly caught up in a trendy wave. For those of you suffering through the Polar Vortex and freezing cold temperatures, hiking boots have the added bonus of keeping your toes cozy while you fight to stay warm. Shop our edit below and you’ll be fully equipped to reach the fashion mountaintop.